1800.00 sqft. - 8640.00 sqft. United Estate is the most Ultra Luxurious and affordable project in Kolkata. Both Residential and Commercial freehold property are available within United Estate Baruipur Residential Integrated Township Project. It is one of the Biggest & Luxurious Residential Integrated Township project in Kolkata. All modern amenities are available within United Estate Baruipur Residential Integrated Township Project. 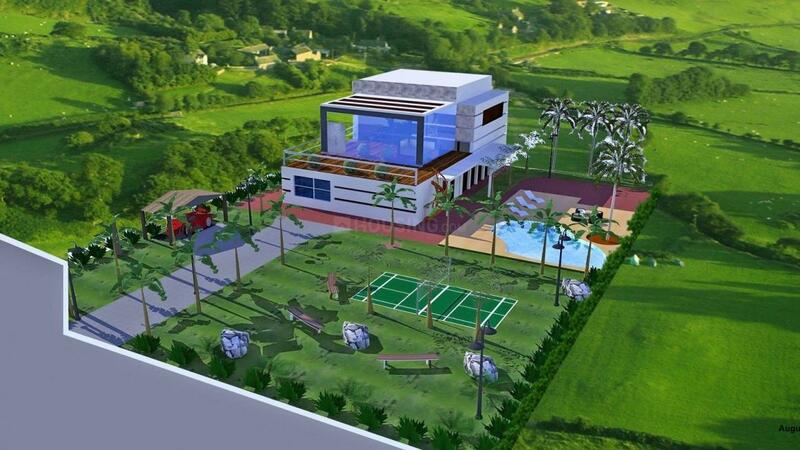 I It is one of the most Affordable Housing Township Project for Ultra Luxuary Villas in Kolkata. United Estate Baruipur Integrated Township Project is trusted, marketed and supported by DHFL Property Services Ltd. This internationally designed Residential Integrated Township Project will be built on 168 Bighas (3360 Cottahs) of land area.130 Bighas land area are for Residential use and 38 Bighas land area for Commercial use. Residential Section consist of approx 585 plots in 3 Phases in the range of 2.5, 3, 4, 5, 6, 7,12 Cottahs area and Commercial section 3 Bighas land area (16 plots of 3 Cottahs) are for commercial use and rest 35 Bighas land area will have all modern amenities within the gated community in South Kolkata near Southern Em Bypass at Baruipur (Julpia Bazaar). Property reselling assistance available for our clients. Private Swimming Pool & Servant Quarter facility available with extra charges in Villas. Interior decoration facility available with extra charges. No making charges for Private Covered Car park, Private Garden, Private Children playing area and Roof Top Garden Terrace in Villas. Easy access and well-connected to Metro Station, Railway Station, Bus Stand , Auto Stand, School, College, Market, Banks, Police Station, Hospital, Post Office ,Resorts and Parks. Discount available for Govt /Private job Employees and Senior citizens on land cost. Location on 30’ (feet) concrete road in the heart of natural greenery and pollution free environment. Alaaska Group is one of the most trusted brands in the realty space because of its believes in providing quality homes, timely execution and customer satisfaction. Both Residential and Commercial freehold property available within United Estate Baruipur Residential Integrated Township Project. Distance only 35 minutes from Gariahat Crossing , 25 minutes from Kamalgazi Crossing and 30 minutes from Tollygunge. Baruipur is one of the fastest growing area in South Kolkata because of many existing and up coming High-profile Residential and Commercial Developments. 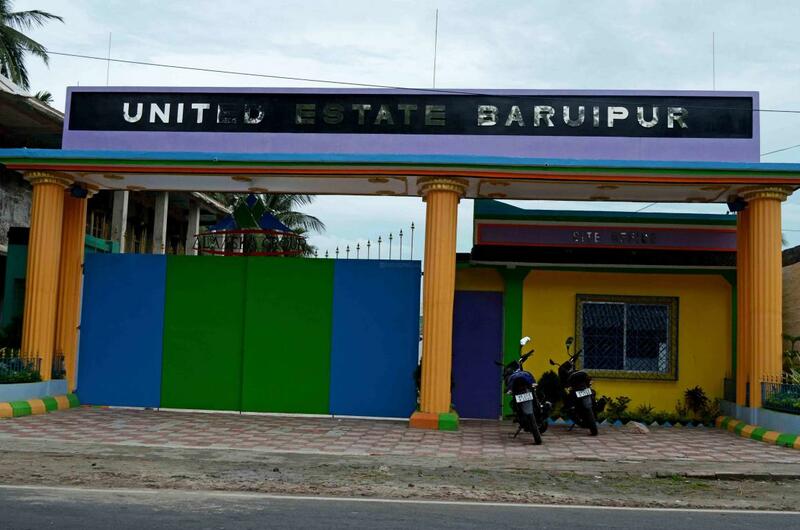 United Estate Baruipur Integrated Township Project is trusted, marketed and supported by DHFL Property Services Ltd.
24x7 Security, Water & Electricity facilities available. 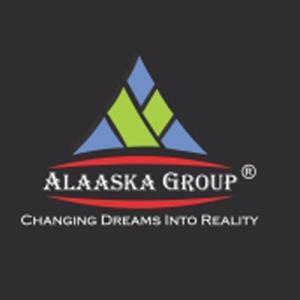 Alaaska Group is the Member of IGBC ( Indian Green Building Council ). One of the Biggest & Luxurious Residential Integrated Township project in Kolkata. Super built-up area cost is not applicable in Villas. Alaaska Group is Govt. Registered & ISO - 9001 : 2008 (QMS) and ISO – 14001 : 2004 (EMS) Certified renowned developer in Real Estate Sector. Floor plan internally can be modified in Villas as per client need within limitation. Extra Discount available on instant registration. On annual basis minimum 20 % price hike benefit on property value. Easy Monthly Installment facility available without interest. One of the most Affordable Housing Township Project for Ultra Luxuary Villas in Kolkata. Boundary with iron gate and green hedges in each Villas. All modern amenities are available within United Estate Baruipur Residential Integrated Township Project. Baruipur is located on junction of three major roads which are Baruipur Road, Tollygunge Metro Connector via Kabardanga, Nepalgunj bazaar, Jhulpia crossing and Amtala Road. It is one of the fastest growing area in South Kolkata because of many existing and up coming High-profile Residential and Commercial Developments. The location is 35 minutes from Gariahat Crossing, 25 minutes from Kamalgazi Crossing and 30 minutes from Tollygunge. It is located on 30’ (feet) concrete road in the heart of natural greenery and pollution free environment. Garia Metro Station is 25 mins, Tollygunge Metro Station is 30 mins, Joka Metro Station is 15 mins, Proposed Sadar Metro Station and Baruipuir Railway Station is 10 mins, Kabardanga Bus Stop is 20 mins, Julpia Bus & Auto Stand is 5 mins, Amtala Crossing is 7 mins, Julpia Bazar Crossing is 5 mins, Kamalgazi Crossing and Behala Chowrasta Crossing is 20 mins, Poddapukur Crossing is 10 mins, Gariahat Crossing 35 mins from the locale. The New District Headquarter is 10 mins away. Meanwhile some of the educational institutes like Calcutta Business School is 12 mins, Pailan World School is 13 mins, Ramakrishna Mission Residential College is 14 mins, Al Ameen Memorial Minority College is 11 mins, Baruipur College is 10 mins, Shree Ramkrishna Institute of Science & Technology is 10 mins, Indian Institute Of Management Joka is 14 mins, B. D. Memorial Institute is 14 mins, Pailan College of Management and Technology is 13 mins, K. E. Carmel School is 9 mins, St. Xaviers College (Raghabpur Campus) is 20 mins away. Shopping Centres like Big Bazaar is 20 mins, Reliance Mobile Store is 11 mins, Wood Square Mall is 14 mins, The Raymond shop is 11 mins, Nepalgunj market is 15 mins, Julpia bazaar is 5 mins, ATMs of Axis Bank and State Bank of India is 5 mins from here. Hospitals & Health care like Nature Cure & Yoga Center is 5 mins, CordLife Sciences hospital India Pvt Ltd is 12 mins, Amtala Hospital is 10 mins, Baruipur Hospital is 12 mins, Jinjeev Nursing Home is 12 mins, Eye Hospital in 10 mins, Cosmos Hospital in 14 mins. Palm Village Resort is 12 mins, Hollywood Hotel & Resorts is 12 mins, Omar Hotels & Resort is 12 mins, Ibiza Merlin Resort is 11 mins, R.S.S. Club is 14 mins, South End Park Club is 13 mins, Purple Movie Town is 11 mins, Ramakrishna Mission Ashram Stadium is 13 mins, Basket Ball Court is 15 mins, Children’s Park is 10 mins, Harinavi Childrens Park is 13 mins and Chintamani Kar Bird Sanctuary is 13 mins. It provides easy access and well-connected to Metro Station, Railway Station, Bus Stand, Auto Stand, School, College, Market, Banks, Police Station, Hospital, Post Office , Resorts and Parks. Baruipur Road is 30ft wide, MG Road 30ft wide and Amtala Road which is also 40 ft wide. Amtala Road connects directly to Joka Metro and Behala Chowrasta Metro. Baruipur Road connects directly to Kamalgazi flyover connector further Garia , KaviNazrul Metro also at the same time it connects EM Bypass from Kamalgazi connector to Ruby hospital and the other side it connects all other major central locations in Kolkata within few minutes. It is not very far from Kamalgazi Connector, Hiland Park Metropolis Mall, Tollygunge Metro, Behala Chowrasta Metro, Joka Metro, Delhi Public School at Ruby Park, Gariahat Market, EM Bypass Metro Cash & Carry,Peerless Hospital, Sonarpur Railway Station, Garia Railway Station, Narendrapur Railway Station and Shaheed Khudiram Bose Metro Station, Garia Kavi Nazrul Metro, etc. Alaaska Realcon Pvt.Ltd believes in building relationships based on trust. So, be it posh apartments in integrated townships, ultra luxury villas, or shopping malls & multiplexes, Alaaska builds commitment into every project. When you invest in Alaaska, you invest in a tradition of commitment to the finest quality. Alaaska's team of highly qualified and experienced professionals, award-winning architects, and well-trained staff are equally committed to the company's objectives and follow the mantra of 'professionalism with a personal touch'. At the heart of Alaaska is no statistics, figures or numbers, nor stone, brick or concrete, but its people. They ensure that the investment made by the customers are absolutely safe.